Watercolor wedding invitations and watercolor stationery aren’t going out of fashion anytime soon. 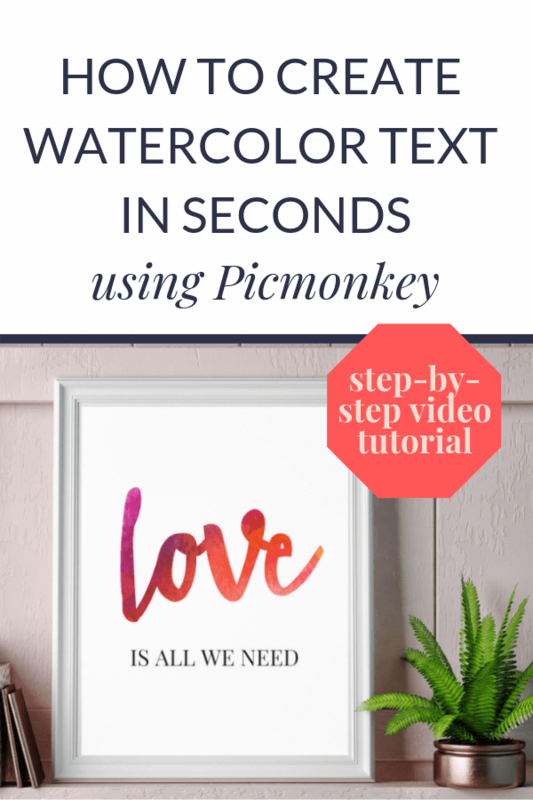 This post will show you how to create 2 watercolor texture text effects using Picmonkey. I’ve used these easy peasy methods to make a super-cute ‘Love Is All We Need’ print – just in time for Valentine’s Day! It’s also PERFECT for super pretty DIY watercolor wedding invitations. Note: some of the links below may be affiliate links. This means that if you click on the link & make a purchase, I may receive a small commission, at no extra cost to you. Ok, first things first, you’ll need access to Picmonkey.com. 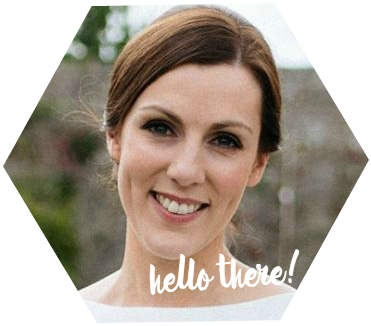 Picmonkey has a ‘free-to-try’ model where you can try it free for 7 days. After your free trial, in order to save and download your designs, you’ll need to be a paid member. I’m a proud affiliate for Picmonkey. 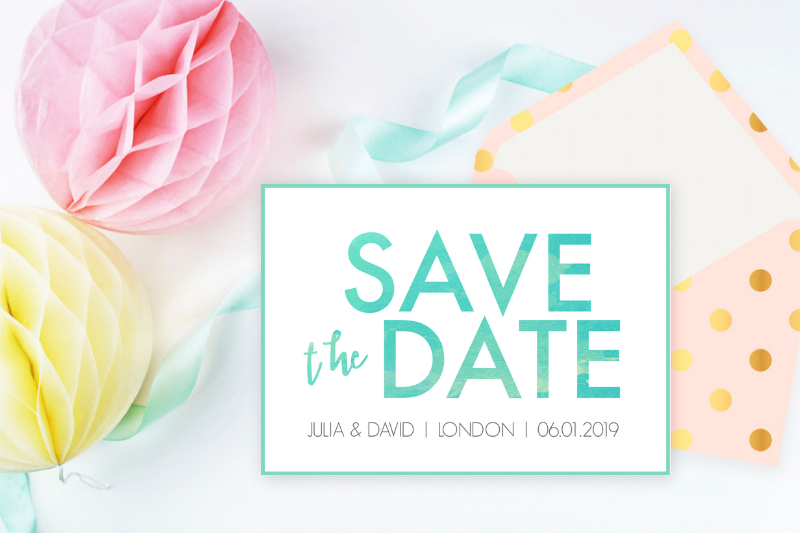 I’ve been a subscriber since 2014 when I created all my own wedding invitations – seriously, I have all the heart eyes for Picmonkey! In my view, the membership is worth it… but if you’re on the fence, the 7-day trial does give you an opportunity to find out if you love it too! Fonts that work well with watercolor textures are brush scripts or thicker calligraphy fonts – that way the details of the watercolor can shine through. There are some nice font options available in Picmonkey for free. Or, you could purchase a premium font for something a bit more special for watercolor wedding invitations. 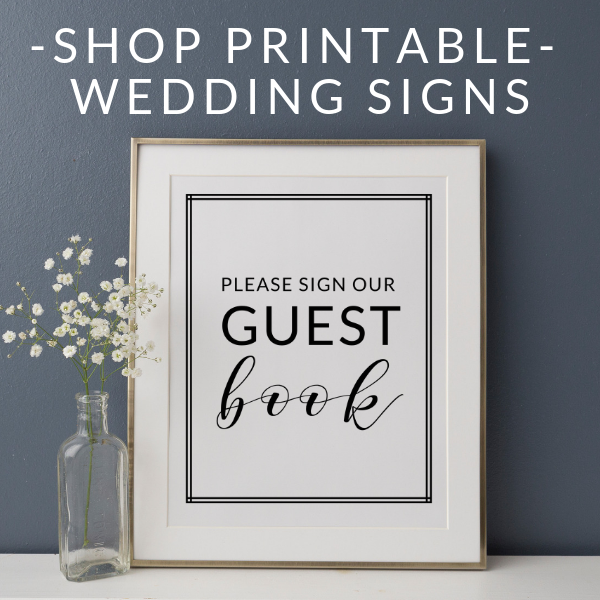 When I designed our wedding stationery I purchased a premium calligraphy font from Creative Market for about $15 (which I complemented with a simple sans-serif font). TOP TIP: be sure to sign up for the Creative Market weekly free goodies email which arrives in your inbox every Monday. You get 6 yummy free goodies to download and there’s usually at least 1 font on offer. I’ve collected tons of gorgeous calligraphy and brush lettering fonts for free this way. Check out this week’s free offers and sign up here. You can create your own watercolor artwork for free by painting your own watercolor texture and scanning it as a digital upload. Of course you don’t have to use watercolor. 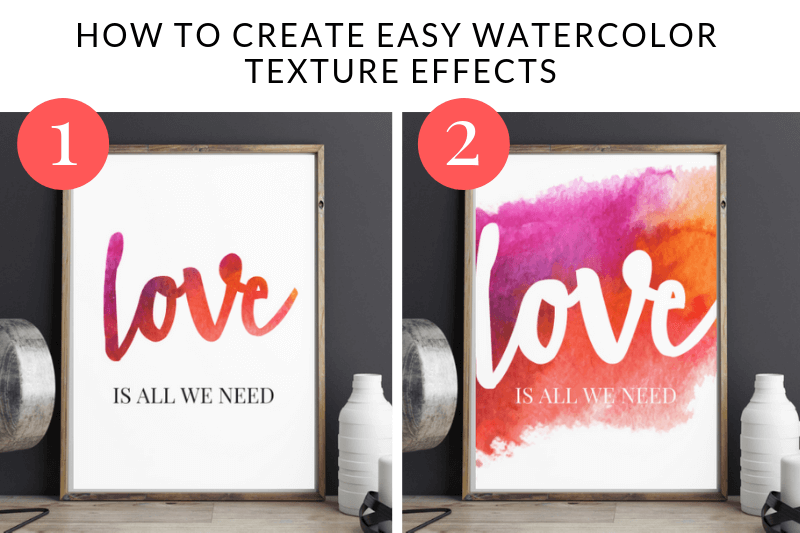 This tutorial works great with all sorts of textures/ patterns – try metallic, glitter, marble, floral, chalkboard… whatever you like! Step 2: Head to the ‘Text’ menu on the left-hand side and add your text to the canvas in your preferred font. Size it to fit. Step 3: Open the watercolor texture from your computer via the ‘Add your own image’ button at the top of the ‘Graphics’ menu. Move it so it covers your text. Step 4: Click the ‘Add’ option from the ‘Blend Mode’ dropdown on the Graphics pop up menu. Watch the graphic disappear into the text. It’s magic! Step 5: Follow steps 1-3 above. Then choose the option in the pop up ‘Layers’ menu to move the graphic backwards behind the text (downward arrow). Change the text color to ensure it pops against the graphic and you’re done! Yeah, so I wasn’t lying when I said it was super easy to create 2 different watercolor texture effects in Picmonkey! I hope you have fun creating your own gorgeous watercolor stationery.